What are the potential implications of scalable and universally accessible technologies that are as potent as peak psychedelic experiences or thousands of hours of meditation? 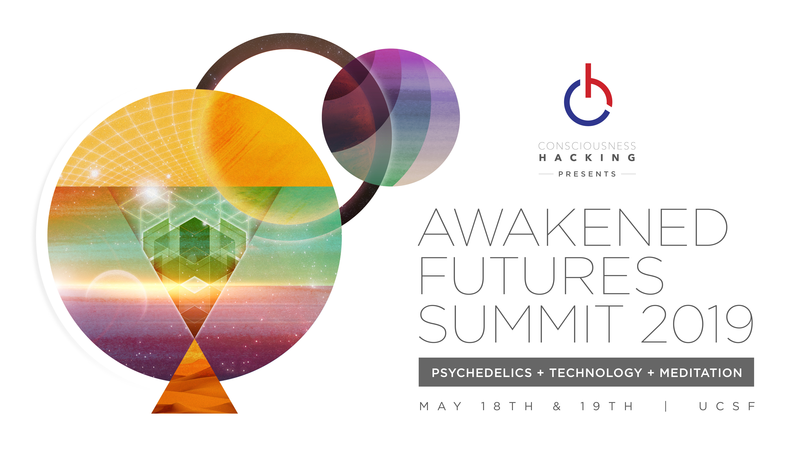 How can psychedelics, tech and meditation be combined to create totally new transformative tools leveraging the best of each? What can we learn from the current landscape of psychedelic research and therapy to better design and administer transformative technologies? Could modern tech ever replace organic molecules and traditional practices as a means of shifting consciousness? What are the ethical considerations and risks of these developments? How do we preserve the wisdom of the ancient traditions as we move forward into an uncertain and technologically-enhanced future? SUPER EARLY BIRD TICKETS NOW AVAILABLE THROUGH FEBRUARY 14TH ONLY! Neuroscape, a translational neuroscience center engaged in technology creation and scientific research. He is also the co-founder and chief science advisor of Akili Interactive Labs, a company developing therapeutic video games, and co-founder and chief scientist of JAZZ Venture Partners, a venture capital firm investing in experiential technology to improve human performance. Dr. Gazzaley has filed multiple patents for his inventions, authored over 130 scientific articles, and delivered over 600 invited presentations around the world. E-Meditation, a neurostimulation-enhanced meditative practice. He is also the co-founder of Bodhi NeuroTech, an early stage technology company developing neurostimulation and wearables for meditation, human performance and psychiatric disorders. Ben Tauber has a background in computer science and engineering and has held management positions at Google and Adobe. He is a founding partner of Velocity, an executive coaching company and recently held the position of Executive Director of Esalen Institute. He currently serves on Esalen’s board of trustees and consults and regularly speaks on the topic of human potential in the modern world. Cassandra Vieten is President and CEO of the Institute of Noetic Sciences and a scientist at California Pacific Medical Center’s Mind-Body Medicine Research Group. Her research has focused on spirituality and health, transformative experiences and practices, and the development of mindfulness-based interventions for emotional well-being. She received her Ph.D. in clinical psychology at the California Institute of Integral Studies, and completed her research training in behavioral genetics at UCSF. She has authored books, published numerous articles in scientific journals, and is an internationally recognized speaker and workshop leader. Erik Davis is an author, podcaster, award-winning journalist, and independent scholar, whose unique and diverse work focuses on the intersection of technology, religion, mysticism, psychedelics, modern culture and media. He graduated from Yale University and recently completed his PhD in religious studies at Rice University. He is the author of several books, and his essays on music, technoculture, and spirituality have appeared in many books, magazines, and journals. He also hosts the long-running podcast Expanding Mind on the Progressive Radio Network. His new book, High Weirdness: Drugs, Visions, and Esoterica in the Seventies will be published this Spring. Transpersonal Psychologist; Psychedelics Researcher; Author, The Psychedelic Explorer's Guide. Called "America's wisest and most respected authority on psychedelics and their use," Dr. James Fadiman has been involved with psychedelic research since the 1960s. He studied with Ram Dass at Harvard University and received his Ph.D in Psychology from Stanford University. He is the co-founder of the Institue of Transpersonal Psychology (now Sofia University) and has held a variety of teaching and consulting roles in psychology and design engineering. Dr. Fadiman has published a variety of books, including the very popular and accesible The Psychedelic Explorer's Guide, and has lectured extensively around the world. Over the last several years, he has become the world's leading figure on microdosing research. Jay Sanguinetti is the assistant director of the Center for Consciousness Studies in Tucson, Arizona, which organizes the largest international conference on the science of consciousness. He completed his Ph.D from the University of Arizona on neural processes of visual perception and unconscious processes. His current research is focused on how non-invasive brain stimulation such as trans-cranial ultrasound can enhance human cognition and well-being, and augment meditation practice. Liana Sananda Gillooly works as a Development Officer for the Multidisciplinary Association of Psychedelic Studies (MAPS). She is a lifetime activist for social justice, drug policy, ending war, and the environment, and is passionate about the intersection of psychedelics and technology. She has worked in event, festival, and film production, as well as artist representation, art curation, and art creation. She has been a featured speaker at numerous events, lobbied Congress, lectured MBA students, and given a TedX talk. She is also an experienced meditator and trained death midwife. Michael Taft is a maverick meditation teacher, author, podcaster and neuroscience junkie, specializing in secular, science-based mindfulness training. He is the author of several books, including the bestselling The Mindful Geek and Nondualism: A Brief History of a Timeless Concept as well as the editor of such books as Hardwiring Happiness by Rick Hanson and The Science of Enlightenment by Shinzen Young. He has taught meditation at Google, worked on curriculum development for SIYLI, and is currently core faculty at Wisdom Labs in San Francisco. Michael is also a featured teacher on the Simple Habit app, and an official advisor to the Therapeutic Neuroscience Lab. Nanea Reeves is the CEO and co-founder of TRIPP, a company creating technodelic mind and mood-altering virtual reality experiences. The design of the experience leverages a large body of existing research on the use of technology in the mental wellness arena and utilizes proven mindfulness structures, targeted sound frequencies, visuals and interactions that have a multiplicative effect when administered through immersion. Nanea has over 15 years of experience in digital distribution, video game technology and mobile application development and has given three TEDx talks on various topics. She is also an avid meditator and Tibetan Buddhist practitioner and is very active in her late husband's non-profit Bodhicitta, Inc.
Robin Arnott is the co-founder and CEO of Orpheus Self-Care Entertainment, a company providing embodied interactive experiences designed to harness the power of mindfulness and video games. He is the creator of SoundSelf, a technodelic ecstatic meditation experience designed for VR. 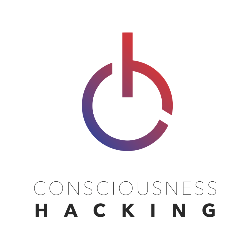 Robin also co-leads the Consciousness Hacking Austin chapter. MANY MORE SPEAKERS TO BE ANNOUNCED SOON!